What are the main types of SEC Filings? Form 10-k10-KForm 10-K is a detailed annual report that is required to be submitted to the U.S. Securities and Exchange Commission (SEC). The filing provides a comprehensive summary of a company’s performance for the year. It is more detailed than the annual report that is sent to shareholders is a report that gives a comprehensive analysis of the company. It includes a detailed summary of company’s results, management discussionsWhat is MD&A?The Management Discussions and Analysis (MD&A) is a section of the annual report or SEC filing 10-K that provides an overview of how the company performed in the prior period, its current financial condition, and management's future projections., and audited financial statements. Companies are required to submit this filing within 90 days after the end of their fiscal year. 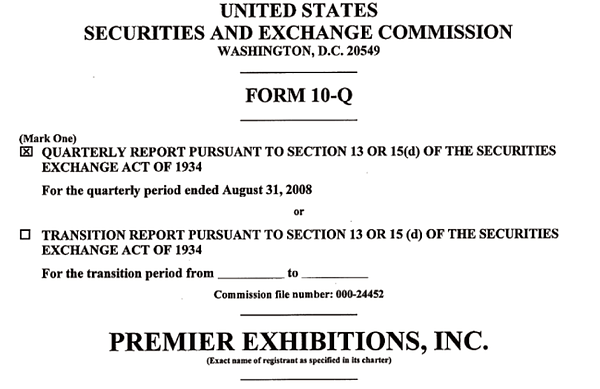 Form 10-Q is an abbreviated version of form 10-K and contains a company’s results by quarter. Companies are required to submit the form within 45 days of the end of each of the three first quarters of their fiscal yearYoY (Year over Year)YoY stands for Year over Year and is a type of financial analysis that's useful when comparing time series data. Analysts are able to deduce changes in the quantity or quality of certain business aspects with YoY analysis. In finance, investors usually compare the performance of financial instruments on. The filing outlines the company’s latest developments and its future plans. 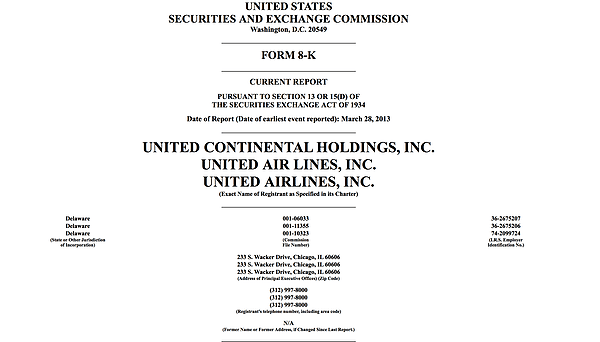 It contains unaudited financial statements, and the reports are less detailed than form 10-K.
Unscheduled events that are important to the shareholdersShare CapitalShare capital (shareholders' capital, equity capital, contributed capital or paid-in capital) is the amount invested by a company’s shareholders for use in the business. When a company is created, if its only asset is the cash invested by the shareholders, the balance sheet is balanced through share capital, investors, and the SEC are provided in form 8-K. These events may include the resignation of a director, bankruptcy, disposition of assets, appointment of new executives and other significant developments. The listing also provides further details about these events such as press releases and data tables. Form S-1 is an initial registration form that companies must issue to investors the first time they go public. It is also known as a ProspectusProspectusA prospectus is a legal disclosure document that companies are required to file with the Securities and Exchange Commission (SEC). The document provides information about the company, its management team, recent financial performance, and other related information that investors would like to know.. The form is necessary because there is little public information for companies in the initial stages of going public. It provides information on the planned use of the funds, the number of sharesStockWhat is a stock? An individual who owns stock in a company is called a shareholder and is eligible to claim part of the company’s residual assets and earnings (should the company ever be dissolved). The terms "stock", "shares", and "equity" are used interchangeably. to be issued, their business model, competition, offering price methodology, and risk factors. The SEC form S-4 is submitted by companies going through an exchange offer and contains material information related to a merger or acquisitionMergers Acquisitions M&A ProcessThis guide takes you through all the steps in the M&A process. Learn how mergers and acquisitions and deals are completed. In this guide, we'll outline the acquisition process from start to finish, the various types of acquirers (strategic vs. financial buys), the importance of synergies, and transaction costs. The filing is needed by investors looking to make quick gains from mergers or acquisitions. Therefore, companies submitting SEC filing S-4 are required to disclose essential facts about their financial and operating activities. SEC filing 11-K is also referred to as the Annual Report of Employee Stock PurchaseStock OptionA stock option is a contract between two parties which gives the buyer the right to buy or sell underlying stocks at a predetermined price and within a specified time period. A seller of the stock option is called an option writer, Savings, and Similar plans. It is a special report that a security issuer should submit alongside other annual reports at the end of their fiscal financial year. It includes registration, proxy solicitations, audit requirements, and other disclosures important to the investing public.